Summer Show 2015 event is going on at CIMA Gallery, Kolkata till 18th July 2015. Over 40 artists from different states of India are showcasing their excellent art work in Summer Show 2015 of Kolkata. • Summer Show 2015, Kolkata Date Schedule: - Let’s check out the starting date & closing (last) date of Summer Show 2015, Kolkata now. 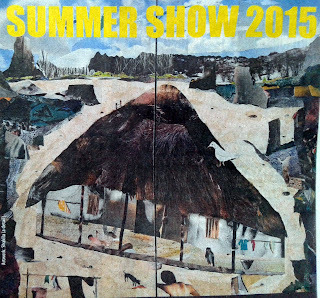 Summer Show 2015 at Kolkata’s CIMA Gallery is going on and will close on 18th July 2015. Monday – 3pm to 7pm. Tuesday to Saturday – 2pm to 7pm. Sundays & Other public holidays Summer Art Show will remain close. • Entry Ticket Price of Summer Show 2015, Kolkata : - Free entry for all to explore the Art Work at Summer Show 2015 at CIMA Gallery. • Summer Show 2015 Location / Address: - CIMA Gallery Pvt. Ltd., Sunny Towers (2nd Floor), 43 Ashutosh Chowdhury Avenue, Adjacent to Birla Mandir, Kolkata-19. • Phone Contact number of Summer Show 2015, Kolkata: - 033-2485-8717 / 033-2485-8509. • Summer Show 2015, Kolkata details: - Like every previous years, Summer Show 2015 is going on at CIMA Gallery of Kolkata to showcase the excellent art works (paintings) done over 40 artists from across India. Explore the artistic touch in every paintings at Summer Show 2015 event in Kolkata. For further details please visit www.cimaartindia.com.